Well, it’s cold and rainy. But a couple of days ago it was sunny and warm and wonderful and I was making mojitos and sitting on my balcony. 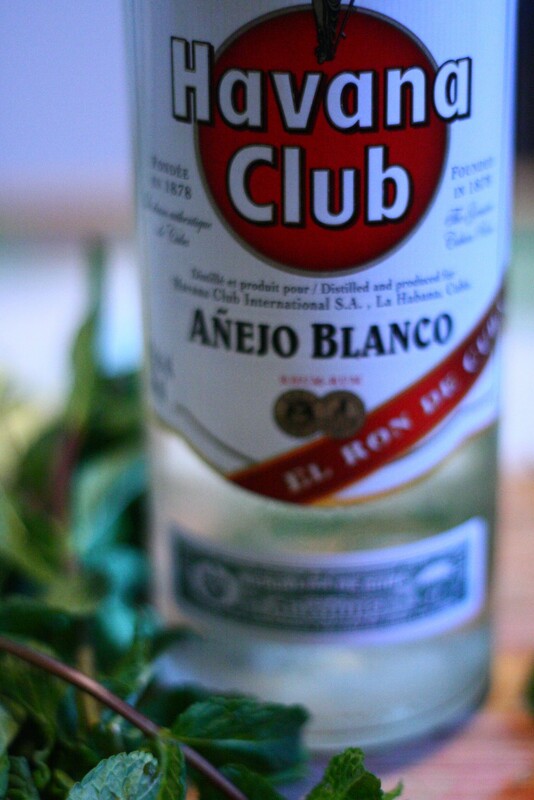 In memoriam – mojitos. 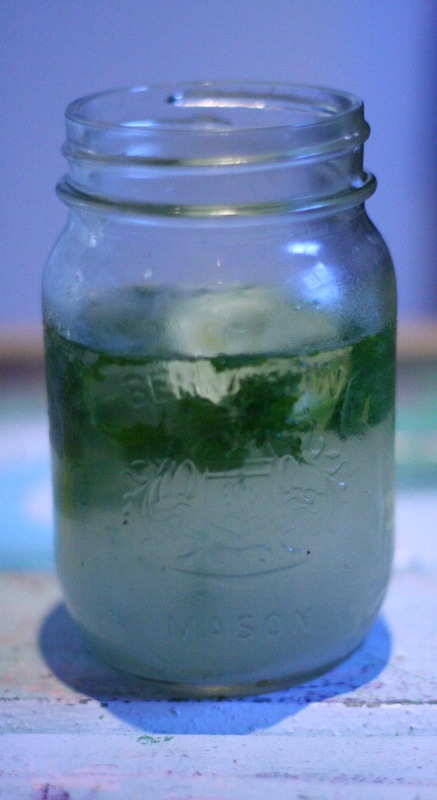 Put mint leaves in the bottom of a glass. Add sugar, lime juice, rum & crushed ice and muddle thoroughly. Add soda and stir well to mix in any remaining sugar. 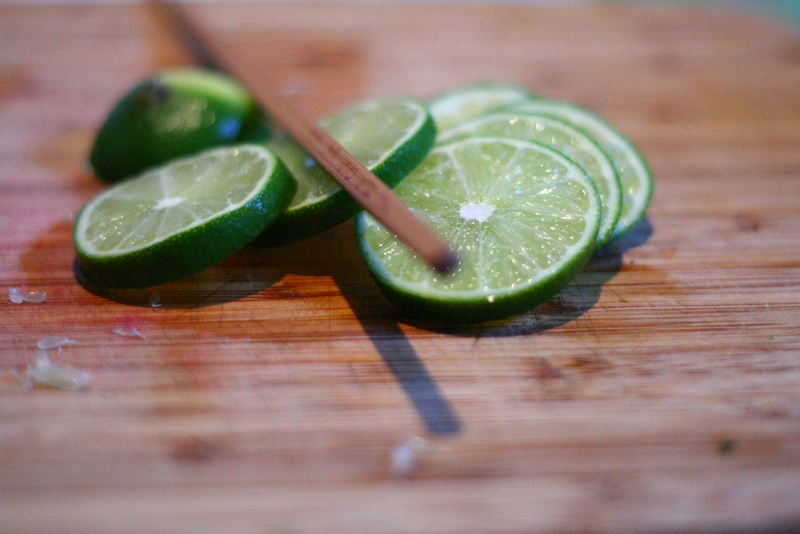 Garnish with mint leaves and a slice of lime. I’ve been working at a cafe for the last few months that serves a daily soup. The owner threw this one together a while ago just using what we had around in the kitchen and it was incredible. I’ve been meaning to try and recreate it and, finally, here it is! 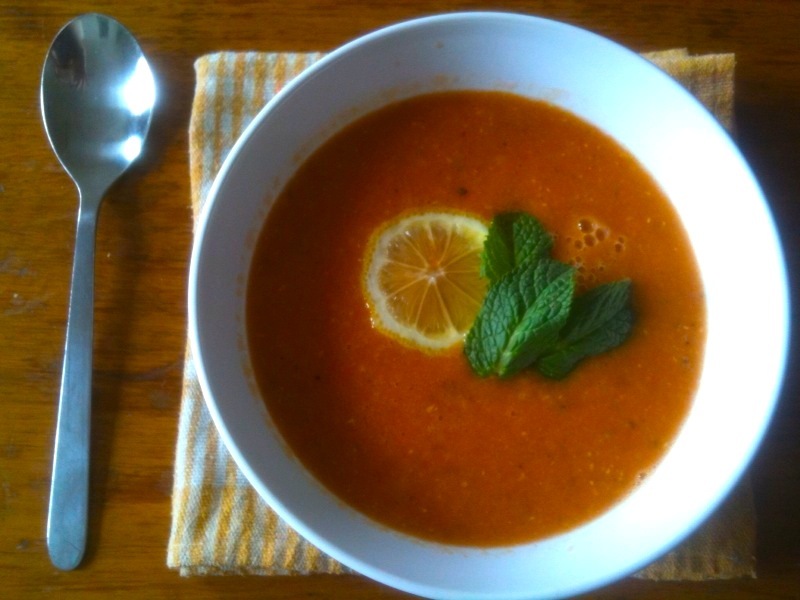 It’s quick and easy and cheap and filling and tasty and healthy and just an all around great soup. Eat it up! Serves 6 as main course. Heat olive oil in a large pot over medium heat. Add onion and sautee until beginning to soften. Add garlic and continue to sautee until onions are translucent. Add canned tomatoes, lentils, mint, lemon juice and stir. Add vegetable stock and bring to a boil. 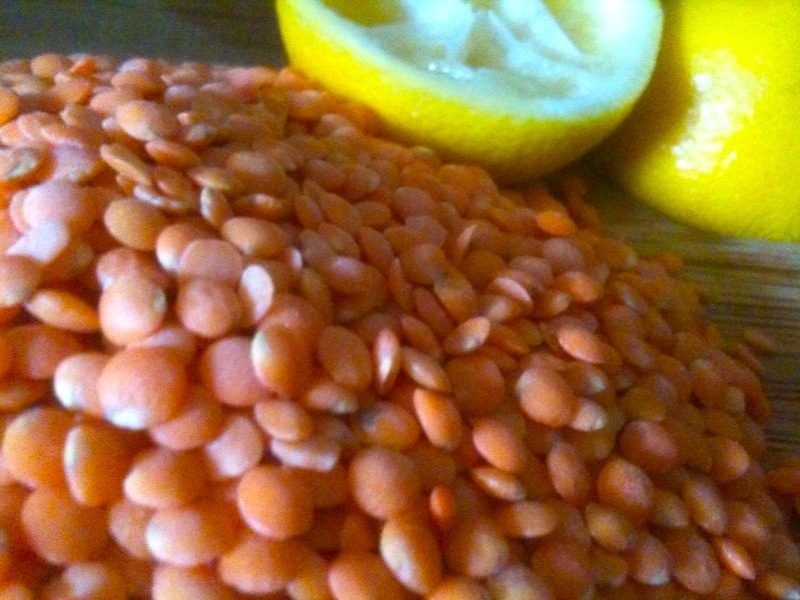 Once it boils, reduce heat to medium-low and simmer for 15-20 minutes or until lentils are very tender. Puree, add salt and pepper to taste. 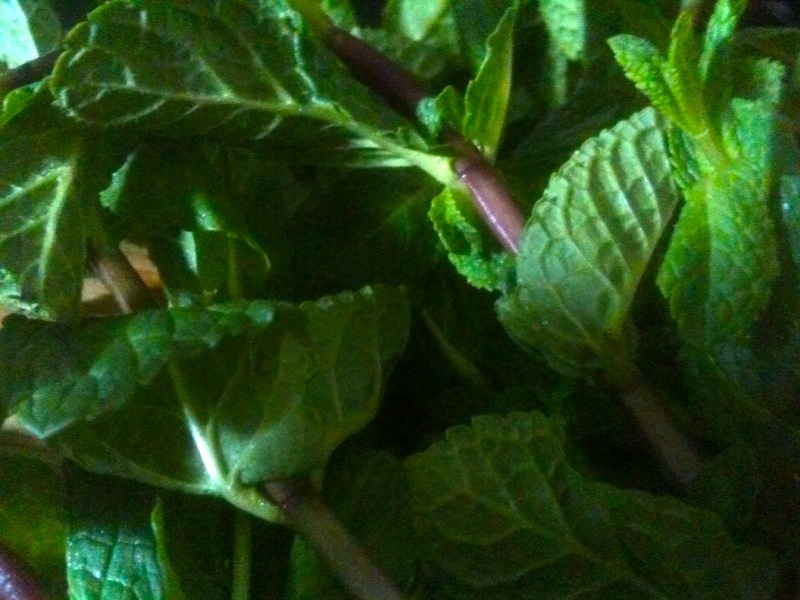 Serve garnished with fresh mint and lemon.